I try my best to leave a relevant and positive comment for each blogger. I am guilty of the 'Great Post' comment, but I always add something extra too. The Kargrandes are tripping me up. Are they an alien species perhaps? Or the bad guys? Have a great week. Loved Lee's battle today. I hope to get by for the guests he's having this week. I failed to research more on the Kargrandes this weekend. No new guess yet. I sincerely hope my Nimoy video did not offend you. I have since removed it. Housebound - I don't usually watch horror alone, but, maybe this time. Thanks, Alex, for visiting my joke blog! Sad to hear about the great Leonard Nimoy. He will long be remembered. I do try and leave relevant comments when I visit blogs, it is the polite thing to do. Much like returning visits and comments. Blogging is about interaction after all. I am still seriously befuddled about the Kargrandes. Lame comment? And comment which makes it clear that the post hasn't been read. Loved the snippets from Jamie Ayres. And a hoverboard would be amazing (assuming I could stay on it). Not a sci-fi fan here, but a Star Trek fan, does that even make sense? Sad news about Leonard Nimoy. Follow several blogs without necessarily commenting on them, partly because some of them go back to 2002, before I had a blog. Also prefer not to leave empty great post type comment if I can't add to the discussion, seems too much like attention-seeking. It is wonderful to have genuine feedback and comments, and sometimes one does lead to a new connection. I would always return visits/comments as a matter of courtesy. "Thanks for sharing" is also a lame comment. I don't have a lot of time to read posts (thus I don't create posts often) but if I read a post, I READ the post and leave a decent comment. For Jamie: did you watch Jupiter Ascending? Cain's hover-skate boots were awesome. I never wanted a skate board - hover or normal - but I'd go for the skater jets. So versatile. Leonard Nimoy was an asset to the universes - both real and imaginary. He will be missed. Congrats to Jamie, I like that it's always good to have hope and nice to think that everything will work out in the end! And Congrats to Lori. Both books look amazing! 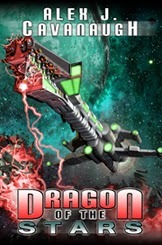 I have to hop over to read Edi's review on Dragon of the Stars. I was also saddened with the rest of the world to hear of Leonard Nimoy's death. And I also grew up watching Star Trek. I was thrilled to see Leonard Nimoy in one of the recent Star Trek Movies where he played an older future version of himself. Since she was generous enough to gift me the two books, I have both 18 Things & 18 Truths waiting on my Kindle. I have no idea what The Kargrandes is... but I'm off to tweet. Seriously though, I think you forgot to include one more type of comment: the blatant spam comment. This would probably fall under your random comment category, but the real distinction is that, aside from totally disregarding the subject matter of your post, the comment is geared towards attracting clicks to the poster's (or spam-bot's) website or blog, which of course also has nothing to do with the subject matter of your blog and posts. Thanks again for hosting me, buddy!! I'm also saddened about Nimoy . . . I'd just done a post about Spock & Holmes on Elizabeth Seckman's blog not too long ago :-( Dolorah, I've never seen Jupiter Ascending, but not it's on my TBW list (To Be Watched). LLAP everyone! I was sad to hear of Leonard Nimoy's death too. He was someone we won't forget. And I try to say something besides great post. The hardest is with the cover reveals and the promotion posts for other people's books. Dixie, you don't offend me. And sorry you have someone show up with a comment that's not relevant like that. Maybe just ignore him and he'll go away. Nilanjana, that does make sense. And agree on your attention-seeking thoughts. Donna, I read it as well. If you actually read it, you'll find something to say. Cathrina, I'm glad he got to be in that movie as well. Michelle, cool you got the books! Michael, very good point! Those get their own category. Randi lee, and that's cool. I do that sometimes. Jamie, happy to host you today! I too was very sad to hear of the death of Leonard Nimoy. One of my favourites ever. I always loved his mind melds. I have a couple of the movies - I loved the one with the whales - Going Home I think it's called. I personally am delighted to get comments at all. Unlike those who end up with hundreds of the things. LOL. Yeah. When they killed Spock off in Khan, it felt like a favorite uncle had died. Cried like a baby. It feels like that again. Losing Leonard Nimoy is like losing a piece of one's self. He's just always been there, such a huge part of our culture, and it is so sad. Sometimes I read blog posts and the topic doesn't resonate with me, so I have nothing of note to add. In that case, my comment might not be insightful but I do want the blogger to know I was there and that I'll be back. The next time maybe I'll have more to say. Nimoy will be missed. I bought an autographed postcard of him as Spock when I visited the Star Trek Experience in Las Vegas several years ago. I should dig it out and put it on display in my office. Well, I'd much rather have a lame comment than a spam comment (which I actually got on my last blog post and had to delete!). Sometimes it just seems difficult to think of something to say, but in those cases I'd rather not leave a comment than write "Great post!" I'd at least want to say something more to show that I read the whole thing. Nimoy's death has hit me hard too. Such a great man who did so much for so many. He will be missed. Love Jamie's post - looking forward to reading her books, although, alas I have no overboard either. I was a "Back to the Future" teen and young adult. So, between that and my faith, the 18's sound like a fascinating read to me. It's hard to offend me in a comment, but I definitely enjoy the more thought out ones or the spontaneous ones that make me chuckle the most. I have been guilt of leaving "Stopping by because..." comments because, well that was the truth. I visited at the request of another blogger, but maybe the genre didn't appeal to me in any way. Likewise, I do sometimes leave a comment that is similar to "great post". Usually because I truly believe it is a great post, but either I can't come up with anything to add or once again it is in a genre I can't relate to but I can tell people interested in that sort of thing would love it. And then there are times I leave the short, generic comment because the content of their post is in direct conflict with my beliefs and to say anything more could hurt their feelings. That was so sad about Nimoy. I think that no matter how bad it gets, there will still be hope for the future. We know evil doesn't win anyway. Comments that have nothing to do with the post are lame. That's just someone trying to get you to comment on his or her post. I was so sad to hear about Leonard Nimoy. I always loved Spock. nice review on your book as well..
ha, i get a few "lame comments"...empty platitudes without support...and def great post, great verse...ugh. I'm not sure about flying skateboards, but I do think technology will bring amazing things. What we can do on our smartphone will be moved to things like smartwatches...everything we own will be "smart," from our toasters to our thermostats. It is dangerous, though...because as we've seen, the "enemy" is realizing that they can attack our technology and hurt us on a wide scale. I think we'll have to be very proactive to avoid technological warfare in future decades. What you've said here about posts bears repeating. I don't seem to get as many of them as I once did. Especially the ones that are just invitations like "Hi, nice blog, come follow mine" and they haven't even followed mine or whoever their visiting. That's like the height of rudeness and self-centeredness. Nimoy as Spock was my favorite character on the original Star Trek. That show didn't stay on long enough in it's original run, but has lived long and prospered ever since. Pretty amazing for a sci-fi show. I don't mind the "great post" comments. Or "great tips", etc. Yeah, more could be said, but something's it stuff we've heard before or can't add too. I try to add what my favorite tips was or something like that. Oh and the first link to Arlee's blog links to your site. What Barbara said is good point. When people host someone, I will often visit that persons blog. They may not have something I can comment on, so I do leave a "just saw you at..."
Loving the What Are the Kargrandes? game, even if I already know the answer. I'll just sit here quietly, in the corner, and not offer any clues/spoilers. Outside of obvious spam, I'm not sure there's a comment so lame that it really bothers me. Even if it's just some nonsense that has nothing to do with the post, it means they took the time to stop by and click through to the end. If nothing else, that's traffic to the page. The future isn't going to change as much as movies and tv and books make it out to because people as a whole hate change. And the greedy sobs on top don't want it because they want to make money the same way they always have. lol R holds the copyright on Great Post I think. I'd rather have great post than hello any day. Hello just sounds and looks so stupid. The la la land idiots saying things that make no sense to the post is dumb too. But the worst are the ones that say "this was a great post, let's follow each other" or some crap like that. You always have a grand post, we and I always look forward to every week. I think I am the king for crazy comments, it depends on the time of the day before and after coffee... like now before, it's a little uncontrolled response. I do and will read the entire post, with a quirky overall thought... with pointing out one item or two that struck that cord with me. Today was the passage of Leonard Nimoy... such a talent in many universes, I know when he mentioned that he was sick it was only a matter of time before we were going to celebrate the man. He will never be gone as long as we remember him... we can say that about many, few will be there for years to come. It is incredibly sad that Nimoy has passed away, but what a wonderful legacy he has left for fans. And yeah, I want a hoverboard! Oh yes, lame comments. Recently I've been getting a few that state simply: "I like your content." I just shake my head! I'm not a big sci-fi person but I loved Star Trek and I loved the Spock character. I am sad we lost Leonard Nimoy. Alex, I'm also sorry I'm not on Twitter and can't help with tweets about your release. Let me know if there's anything else I can do to help. I have mixed feelings about your comments commentary. Sometimes I read a good post and just have nothing to say about it so I say something just to let the blogger know I've been there. It's still hard to believe Leonard Nemoy is gone. He made such an impact, though, his influence lives on. Lame comments are the ones that say "visit me at I'mallthat.blogspot.com." I don't fault anyone for skimming. I do it often, especially when the posts are verbose. But to try to use someone else's platform to gain followers is tacky and rude. As for lame comments, if I read a post and can't connect it with it -- I'd rather leave without commenting than just say "Great post." Doesn't mean I won't come back on another day and have plenty to say. I'd rather be sincere than fake. For me, commenting on blogs depends on so many factors - does the person already have a lot of comments or no, do I have a thought that will add to the conversation, can I offer support or encouragement, etc. "Housebound" sounds intriguing! Saw "St Vincent" over the weekend - it was sad, but pretty good. Barbara, I understand what you mean by conflict of beliefs. I often just don't say anything in those cases. Lee, I've gotten a few of those comments. Holly, it does seem spammy. And I will fix that! Pat, agreed. And only R can do the great post and get away with it. Jeremy, you leave great comments! And we will never forget Nimoy. Christine, all you can do is ignore those. Karen, are you on Facebook? Because I'm not, so I'll take any spread of news I can get there. Dianne, I agree completely with you. Thank you, Alex, for posting my new release! And congrats to Jamie on hers. I wouldn't mind one of those flying skateboards myself. The loss of Leonard Nimoy is very sad indeed. His interactions with Captain Kirk and Dr. McCoy were the best part of Star Trek. As far as the lame comments, I always try to say something relevant, even if I say "Great post!" first. I'm not much of a Trekkie, but I was still sad to hear about Leonard Nimoy. In true Geek fashion, shortly after hearing about it, I was sad for the characters on Big Bang Theory. As far as blog comments go, I really do try to say something relevant. I probably even succeed some of the time. We shall prosper, even without Mr. Nimoy to remind us. Yup, still looking for that special hover board in my life. Looking forward to ISWG Wednesday, as usual. And just what about those Kargrandes? Hope is a good theme for sure! I'm not convinced we'll have flying skateboards, but I just saw Jupiter Ascending last night and Channing Tatum had awesome flying skater boots. Hellooooo Alex!! Great post!!! Those cinnamon rolls in the over sure smell great!!!! It's lame comment Monday. I was terribly sorry to see that we'd lost Nimoy. Congratulations on your latest book, Jamie. The series sounds like my kind of reading. Right now, the future looks kind of scary, with all the violence in the world. Still no clue on the Kargrandes. I think no comment is better than one that says nothing. Have a super week, all. As for comments, if someone says 'Hi" I'm delighted. If I comment 'Great post" I truly mean it. Blogging does take time! Probably why I don't do it as much as I should. I always leave a comment on a blog I read. Just makes sense. I have great hopes that the future will not only have amazing new technology for enjoyment as well as improved lifestyle. I guess that's why I'm not a huge dystrophia fan. It often sets out such a negative view of what lies ahead. It's always hard to lose a person even one you've only "known" as a famous actor. He was a so talented in many ways. I often don't visit sites of people who leave comments that show they've clearly not bothered to even scan my posts. Was sorry to hear about Leonard Nimoy. I enjoyed his work, especially in the old Mission Impossible series. I love Jamie's thoughts on hope! And I'm sad about Nimoy, too. Lame comments - well, sometimes I'm guilty of those . . it depends on the day. Hmm. I don't really mind short comments on my posts. Maybe because just the fact that they stopped by at all is nice? Ha. I don't have quite the following as SOME people. Ahem. But then again, I don't put in as much time visiting a ton of bloggers the way I use to, so...I get what I deserve? Not sure how my balance would be on a hover board. Nimoy also did a great job in the remakes of the Star Trek movies as a man out of time. He spoke with such gravity that it always made his character seem wise. Asking questions at the end of the post helps people focus in on a few aspects of a post. I have visited blogs where I just didn't know what to say and sometimes I leave without commenting. LOL great post I love the Kargrandes they're like my favorite! To me, a lame comment is anything that indicates they didn't read the post at all. Like the above. Sure, they tried to act like they knew what they were talking about, but clearly they didn't. We get a lot of those. One of my favorite games is to visit their own blog and, in turn, give them the most thoughtless comment I can think of. The saddest part? They usually don't care and just come right back to our blog. I find that people leave the "Great Post!" comment with nothing else when they actually didn't read the post and wanted to comment. The post annoying comments, to me, are the ones that are spamy and have nothing to do with the post and end with a link to some website. I hate those! It's terrible about Leonard Nimoy. We lost a legend. Congratulations on this superb review of Dragon of the Stars at Edi's Book Lighthouse! Great post today, Alex! Bye now! Haha, thought I'd jazz up my lame comments with !!! to add more excitement. btw, I appreciate your comments on my blog tour stop today. And by your comments, I knew you read the interview which was NOT lame at all of you. So MUCH appreciated. I always love your movie reviews. I'll check out a film just because you liked it. Houseguest looks creepy by the picture, but I'll be sure to see it now. A quirky film from New Zealand sounds intriguing! Congrats x 18 to Jamie! RIP Mr. Spock. Such a great man and such a great character. The tweets from his kids and stepson showed how special he was, but we already knew it. Lame comments. We all get them sometimes. My opinion on lame comments? Maybe that it's a sign that the author of the blog is not in touch with their audience? What I mean by this is that if someone is obviously not reading the post and just saying "hello" then that is an audience you don't really want and you need to ask yourself how you came by the comment in the first place. Though I'm not that big of a geek, I know a lot who are. Leonard Nimoy is a huge part of the geek world. Aside from that, he's a great actor too. When I was active in fanfictionland, there was a reviewer who'd consistently leave comments like "NIce" or "Morre" - almost always with some kind of type-o. It was ONE WORD & he rarely got it right. Oh, how I longed for a comment from him on one of my stories. It never came. Such comfort in knowing that somehow everything works out for the best. Thanks for the hope, Jamie! Congrats Jamie on finishing that trilogy. As someone who is working on a series (and still stuck in book one) I can appreciate the level of dedication involved here! It's horribly sad about L. Nimoy. Of course, he lived a BIG life. Can we really ask for more than that? Jeff, that made me laugh! Beth, exactly! And it would be cool if the Big Bang Theory did a tribute. Susan, I was taught early on to end qith questions. It seems to help. Brandon and Bryan, that is hilarious. I've done that a couple times. Karen, thanks. And it's a really great movie. Michael, then the answer is to focus on those who do leave meaningful comments, because they are your audience. Nicki, that's lame all right. Great post! LOL I think we're closer to the BTTF world with the shoes coming this year, but still no flying cars. Alex, it's obvious when someone is commenting without reading the post just for a comment back. I appreciate all comments but that is annoying. Still love the RiffTrax post. I think the Kargrandes are something to do with a weapon, maybe energy or some such thing. They definitely are not animals. Forgot to say I hate lame comments like "Great post etc," it just shows that the reader has not bothered to read the entire blog post! Saturday on TV Land, they had a tribute to Leonard Nimoy. He appeared in several 60's TV shows including Bonanza, and Rawhide where he played an Indian. These appearances must have been shortly before Star Trek took off. He was very talented, and seemed to have a great sense of humor too. It was fun seeing Jamie here! Alex, I'm amazed at how you always leave the best comments! Yay for Jamie! I've been seeing 18 Thoughts everywhere. Definitely sad about Leonard Nimoy. And I think all three examples you provided are lame comments, but the spam ones that clearly have nothing to do with your post are the worst. Very sad about Leonard Nimoy, a firm favourite of my late hubby, May he Rest In Peace. I just started watching Star Trek about a year ago, but even as a kid, I felt pride in being able to do the Vulcan sign. Shatner's acting is horrible, but I'll finish the series out for Leonard. It's hard to believe Mr. Spock is gone. But then he HAS dies before. I'll miss him. I'm still waiting for flying cars, and a hoverboard would be so awesome. It's so sad about Leonard Nimoy. Spock was my favorite Star Trek character. I once believed we'd be living on the Moon and starting to terraform Mars by the year 2000, and that we'd have space colonies by 2050. I used to love the idea of flying cars, till my father pointed out to me that they'd just cause traffic jams in the sky. Everyone stuck in traffic would get the same idea and move their cars to the sky en masse. Spock is one of those characters that I would have said no one would ever be able to step into but, then, Quinto did just that and did it really well. Still, it's sad that Nimoy isn't still out there. I also spend several hours writing each one of my blog posts, not to mention editing afterwards so I am grammatically correct. It's sad when people skip through and leave comments that have little to do with the content. I think "Great post" is such a copout. Your trilogy sounds very interesting and not confusing at all! I sometimes imagine the things I would change in my past if I could travel back in time. And I also wonder how dangerous this might be. Would I be a better person or would I be worse? It's good to leave it up to God or the imagination of our stories! We just got this amazing Android box which allows us to see any movie ever made, even ones currently out in the theatres. I might have to test Housebound out on it. Rachna, maybe on the Kargrandes, and you nailed it on the comments. Birgit, I'm sorry! Sixty-one is way too young. The family has been through so much. Carrie-Anne, not to mention more accidents would result in death when the cars fell from the sky. Housebound .... I'll watch it tomorrow nigh as wifey will be working. Love coming across films like this that I've never heard of. My brain is always looking for something new. I never leave a lame post comment. I may not read the entire post as it may be too long or I need to get through a lot of posts by bloggers who visited me, but I'll at least scan the post, then read a section of interest and leave a comment that adds something to the thread. If someone just wants to say hi in a comment, I'm 100% okay with that. And if someone just wants to put a smile face, which I will do to note that I've read a comment, I'm okay with that too. I'm an easy-going non-rules based blogger. Comment, don't comment, skim a post, read it all. You know I just want to leave a 'Great post' comment now. I do think I do that sometimes. Jamie's books sound really good. Best of luck! I'm glad you got to see a movie you liked! Leonard Nimoy will be missed. Well, dad-blast it, I say "great post" and it means just that - because I don't add any comments to posts I don't like. That said, I also hate to leave a really long comment. I'm not in competition with the original post. Leonard Nimoy's passing is a sad day indeed. His character had such strength and the Star Trek franchise gave our generation and the next much in the way of science fiction. He will definitely be missed. Congratulations to those with new books out. I get lame comments and I'm sure some people think mine are lame. There are times when I visit a blog and (although I'm friends with the person) there is just nothing that interests me or I just don't have anything to say. Sometimes I sit and stare at a blog post for a long time and still come up with nothing. Yet I want the person to know I at least visited. As for Nimoy, he was one of the greats. He lived a long time for considering all the habits. Tweeted the clue. I've been off my game for a bit but I'm clawing my way back to something that slightly resembles normal so I can make sure I'm visiting your blog more often. Thanks for the Wednesday reminder for IWSG. Yeah, again, off my game lol! I don't know what the future holds but I'm okay without the hoverboards. They were interesting but a little scary to me when I saw them in the movie :-) But'll take those auto-lace up sneakers lol! I am very sad about Leonard Nimoy. Spock was my fave Star Trek character. I learned early on how to do the "Live long and prosper" hand sign, and was called a nerd for it and was alright about it. He will be missed. I think people should only comment if it's a compliment or to add some insight to a discussion. We all love compliments, but I usually read through the comments before I leave one, simply because I don't want to say something that fourteen other people have already said. That's the good thing about using Blogger or Google+. You can just +1 the comment and let the writer know you liked it. Great Comment! Have you seen my fish? It's lent btw. Seriously? When I first started blogging, I happened on post that started as a happy tribute to her mom...who had just died. I was shocked at how many people wished her mom a happy birthday. I think that's why blogging takes me so long...I do try to read the post. I was sad about Leonard Nemoy. Felt like losing my nerdy dad all over, but then I decided now Dad gets to meet Spock, so it's all good. Nice tribute to Leonard Nimoy. I'm not really a trekikie, but I have been over-exposed to Star Trek. He certainly had talents well beyond his iconic role of Mr. Spock. Also a nice review of a movie that I think I'll skip. Lame comments make me laugh. I keep wondering 'why bother?' I admit I don't get many, but then I don't get the volume of comments some of you guys do. I guess the people who stop by my place really want to be there and actually read what I have to say. YIKES! Arlee certainly did have the coolest BOTB this time out. Good BATTLE and excellent follow-up. Can't wait to see what he has planned for Wednesday. 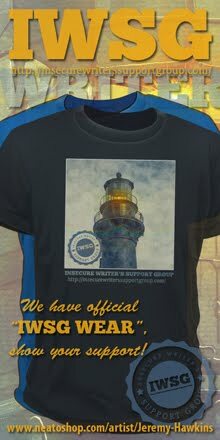 IWSG - Yep, I'm ready. I liked what you said about the lame comments, although I feel like I've been really lucky in that I don't know if I've ever gotten one. Great tribute to Nimoy! I've only experienced Star Trek secondhand through my hubby, but Nimoy certainly left a huge mark. 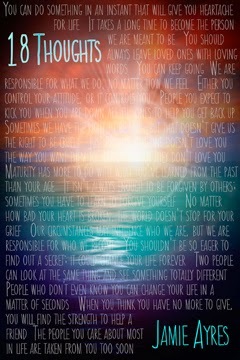 Jamie's post was inspiring, especially what she said about hope. I was sad to hear about Leonard Nimoy but i think he had a pretty good run. Spock certainly won't be forgotten any time soon. I was so sad to hear about Leonard Nimoy. He was one of those guys you always expect to be around. I saw Housebound on Netflix and wondered if it was any good. I'll have to give it a try. I trust Leonard Nimoy is zipping at warp speed through the heavens. I so enjoy when someone leaves a comment that his directly related to my latest post. I try my very best to comment with something directly related to the post. God bless Leonard Nimoy. Another icon gone but not forgotten. Well, I had to laugh at "Great Post" as many of us know that now belongs to "R"
I think it is good to leave a thoughtful comment when reading a blog. It makes us feel more connected. I am anxious to read your new book and it is on the top of my to read list. I have to love anything about dragons. Many are suffering the loss of Star Treks's icon Leonard Nimoy. The future Alex, holds many things. Let us hope one is success for your book. See you in the blogsphere.. Sounds like a good movie to check out on Netflix! It's been a while now since I've made it to a theater, but when you review new releases, I make a mental note to check out my favorites when they trickle down to Netflix. Sad about Nimoy. I enjoyed his work on Fringe (sort of recently). Lame comments...I don't know. They don't bother me as much as maybe they should. I think sometimes people don't have anything extra to add to the conversation, but want to show support? I agree--doesn't seem worth the effort, though. I heard of Nimoy's passing. Didn't know he was a poet. Don't know what the Kargrandes are. I need to actually visit the site to have a clue. The lamest comments are the ones that say hi and that I'm to visit their blog. Gina, I devote a lot of time to mine. 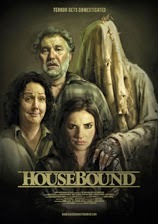 And definitely check out Housebound. Heather! You never do that. Cherdo, he is not a Vulcan at all. Angela, don't miss the IWSG. And be proud of your nerdness. Faraway, I got to see the video for Wednesday early - you will dig it. Jenni, I rarely get one. JE - watch it. And funny! I think everyone will always remember Leonard Nimoy, Mr. Spock, and Live Long and Prosper, which I think may have been his parting wish for all of us. I may be guilty from time to time of leaving a lame comment. When I do, it's usually for a post that totally doesn't resonate with me or one that I don't understand. Or sometimes, I just won't comment for those same reasons. A hello is killer for me. If that is all someone can say they won't be hearing from me. I was incredibly sad to hear about Leonard Nimoy's death. He was my childhood hero. It's such a great loss that I don't really know what to thin, but I do want to remember him and keep celebrating Spock. Comments can be tricky. It's hard when that person only responds to something you said on their blog instead of reading anything you said. But it does happen. I try to read everything they wrote and leave a real comment. Also, that movie... it looks a bit too creepy for me. Yikes to the person in the background! Sorry, couldn't resist. I try to put thought into my comments, but on occasion do resort to a great post comment because I want the blogger to know I read their post and appreciated it. Sometimes I'll tweet it instead and make sure they're tagged in it. I definitely want to see Housebound. Sounds weird but good. Lame comments -- I'm happy to say I don't often get one, and I try real hard not to leave one. But I'm sure I've done it when in a hurry. Must learn to ssslllooowww dddooowwwnnn. "Great post" is okay if the blogger says WHY it is so great, but on its own...yeah, bad. I also don't like those "I'm following you now" comments with nothing else to say about the actual post, because, obviously, the commenter expects you to follow them back even though they didn't even read one of your posts. Ugh. Anyway, Jamie's third book sounds awesome. I have it, just need to get to it! I also want to watch Housebound. Love it when those random Netflix movies turn out great. Aloha Alex! I'm scrambling to find time to post and comment from Oahu. 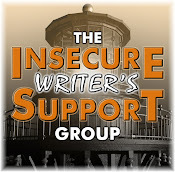 I have written "Great Post" a couple of times when clowning around on Pat Cat's blog, because I had seen R's comments there. I'm very sad about the loss of Leonard Nimoy. I was old enough to appreciate how brilliant the original series was with its multicultural cast and provocative themes. It broke TV wide open, smashing conventions left and right. Spock was my favorite, but I loved all the cast! Not too long now until your book comes out! Yeah! Have a good one! I loved Jamie's sense of humor and the sound of her two YA books, so I'll check them out. Congratulations on the great review for Dragon, Alex! But then, your books always get the great reviews they deserve. As for the odd comments--I don't get many comments at all, and the utterly irrelevant and vaguely neutral ones are pretty much always spam. Also, if they call me "Dude" then I KNOW it's spam. I try to avoid leaving lame comments. I generally only comment if I think I have something to contribute, otherwise I prefer to not comment at all. In my experience, the empty "Hello" and "Great post" comments often seem to be from bloggers who have no interest in your post, but are only interested in drawing you to visit them. Elizabeth, not worth the effort. And Housebound was really intelligent - I think you would really enjoy it. Holy Ghost, good stance to take. Rosey, that made me chuckle. Patricia, Tweeting it is a good option! Fundy, hope you're having fun. And imitating R - funny! I agree, losing Mr. Spock is a sad thing. The good thing is that Mr. Nimoy will be with us until the end of time. Our grandchildren's kid will get to know him on screen. How kewl is that. I can't imagine what the future holds. I think the adventure has only begun. Great to see Jamie's books doing so well. She's a wonderful inspiration. I probably won't be watching HOUSEBOUND. Bit too frightening for this big chicken. Housebound looks like something my mother would enjoy. She's into that sort of creepy/scary movie. So saddened by Nimoy's passing. I was floored when I saw the first mention, on Twitter, I think. Lame comments--it's like they're not even trying. It's almost like spam. A way to get your name onto a blog, but without the actual committing to being present. Although sometimes it is hard to come up with a salient comment, in which case a simple line of "liked it" will do. There are those check mark boxes that Blogger lets you add. Sometimes I think we should be utilizing those. Now I'm intrigued - Housebound looks good, and what you wrote about it is very enticing. As for lame comments, I don't usually get those. The spam comments I get where the spammers try to make some sense are usually pretty lame, though. Nimoy's passing was so sad. When I saw the headline I was totally shocked. And yes lame comments annoy me. I'm not saying I'm the wittiest, but I try to discuss something that was mentioned in the post. I hate the people who write, "Hi, please stop by my blog." Why? I'm not here to up their site stats, but to talk with nice people, like yourself. Blogging friends rock! Hi Alex - love the poster for Housebound - makes one think about the film and its story line. 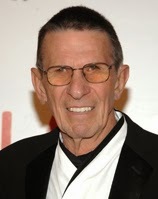 Leonard Nimoy - sad .. but he was obviously very talented, as so many 'celebrities' and we don't realise til they've passed. Lame comments - I hate them ... bloggers really need to at least make some effort at noting the content etc ... so many of us do - others drive me nutty!!! You left off my least favorite, or lamest blog comment, the one that just promotes them with a link, often asking me to link up. BTW- When you find that flying skateboard, get photos. One needs to be a bit innovative in order to place a review before release date. A hover board would be fun. I'd worry about falling and injuring myself, but the boys would jump on in a heartbeat! No one knows what the future holds. I've stopped trying to predict it. So sad about Leonard Nimoy. He, and his character, were icons. They were someone to look up to. His death also reminds us of our own mortality, aging, and a bit of longing for the past. Yes, a myth of cinema Leonard Nimoy deserve all the tributes !!! A Hoverboard would be so cool, and I'd kill myself, but guess I can't be picky. Nimoy was one of the few big names that I respected. A great man. Lame comments are just lame. I wonder why the ppl bothered to pop by at all. I, too, share your sadness over the passing of Leonard Nimoy. I remember getting weepy-eyed (losing several guy cool points in the process) at the end of "The Wrath of Khan." Now I'm getting weepy-eyed for real (and screw losing guy cool points). Very sad about Leonard Nimoy. He will certainly be missed by many! I don't get too many lame comments. Occasionally, I'll get the "Hi, I'm following you. Follow me back." It's kind of ridiculous, I think. If you're going to leave a comment, leave one related to what I wrote, and naturally I'll reciprocate. Belle, fortunately I don't get them either. Rhonda, I did forget that one. Edi, thanks for the review!! Lisa, they do build relationships. Al, but you get geek points in return. I don't want to know what my future holds, I like to be surprised, but I'd totally want a hoverboard if it comes to pass. I have no seen Housebound but it sounds good! I'm totally sad about Nimoy. I grew up watching him since my dad turned me into a Trekky at a young age, though I do not go to conventions or own anything Spockanalia fan fiction. And lame comments... I can take 'em or leave 'em... what I really dislike is spam! And I apparently need to edit my comments before I post them. I do the hello or have a good evening or just dropped by, etc. if I stop more than once in the same week. Like everyone else, I was so sad about Leonard Nimoy. He was my first real understanding of aliens. Sometimes I'd like to know what the future is... and then I think why mess with things I have no control over...or maybe I do... hmmm interesting question! Sorry, I couldn't resist. Comments show me what I am doing right or wrong or if I am even touching the interests of my friends. Leave it to New Zealand to come up with a quality horror film. Just don't watch the New Zealand film, BLACK SHEEP!! I was so hard-hit by the death of Leonard Nimoy that I did two posts on it. One on his death. The other on the impact he had on one hurting teen girl. Dani, your dad was a wise man. And your comment amused me. Sandra, like now? That's fine! Today was a Blitz Day, and I stopped by a second time to a blogger's site just to say happy Blitz Day. Mark, we know what the future will bring! Roland - funny! And I will scratch that off my movie list. I love any story to do with time travel, so best wishes to Jamie!!! I have Housebound on my movies-to-watch list now. Thanks. A comment is only lame when it's clear the person hasn't read and doesn't care about the post. These days when most viewers of your post don't leave ANY comment (I've worked out the ratio of 4:1), I'm happy if someone who stops by just says hello. Sometimes they're just hoping you'll follow their link where you find they're flogging their book, but that's okay. Bloggers struggle to sell books. But true, thoughtful posts take a lot of time and it'd be nice if commenters actually read your post, but not everyone thinks like us. Sad that Nimoy passed on. He was legend. 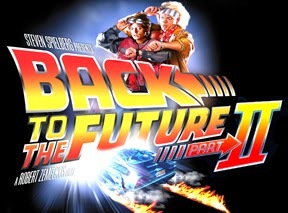 Also loved Back to the Future movies and can watch them over and over they're so corny now! Sometimes I can tell that someone has multiple tabs open and they're reading a bunch of things at the same time, because they'll write a really random comment that seems like it's for some other post. I also know when someone skims, because they'll ask about something that was already mentioned in my post--although I must admit, I skim too. If I write a "great post" comment, I'll also mention why it's great. Nimoy's passing was a sad day. Kargrandes must be something big..."grand", or maybe a space car with a K. Is that lame or what? I'm so bummed about time, the ticking clock in general, and losing Spock only made the ticking seem faster. Even though my autographed poster of the first cast is now worth more. I just feel bad. I hope Kargrandes is a time machine. I really do try to leave relevant comments. I have seen people comment who clearly didn't even skim 4 or 5 sentences in the blog post. It's a little irritating sometimes. Sometimes it's better not to comment at all. I'm so jealous that you got to interview the MST3K folks! Awesome. Nimoy was one of a kind. A rare talent. RIP. I would love to have a hoverboard. Never was into skateboarding since they didn't become popular until my younger siblings were tweens. Rollerskating was more my speed. How about hover skates? Congrats to Jamie Ayres! Leonard Nimoy passing is a tragic loss to us all. I'm trying to honor his memory and have joined Armchair Squid in his recounting of Star Trek TAS. It is reassuring to hear Leonards voice through his character Spock, again:) He will always be the great vulcan and will LLAP in our human hearts. As for lame comments, I try to be genuine, relevant and give something back to the blogging community. Not sure how I missed the post, but I'm glad I found it. I liked Jaimie's ideas on time-travel, hope, and her book. I may need to check it out. I'm still waiting for free engergy and flying cars, but not holding my breath. I've seen Housebound on Neflix and didn't think I'd be interested; so glad you're around to change my mind. I grew up with a Trekkie father so this loss hit harder than I expected. I was sad that a part of my youth was gone. Your words are very nice. I try not to think too much about comments. I guess I'm still at the phase where I'm excited when some leaves anything. Most, if not all, of what you describe as "lame" comments, is what Blogger likes to call, "nice spam" comments. I used to responds to those drive bys, until I actually started clicking on their profiles to see what kind of blog they have. Roughly 98% of those "lame" comment blog owners have blogs that are basically pimping useless junk and/or are simply spam blogs. A suggestion for all bloggers who get those kind of "lame" comments is to immediately delete them if you don't moderate, or label them as spam if you do moderate. All they're trying to do is get people to visit their spammy/junk blog.